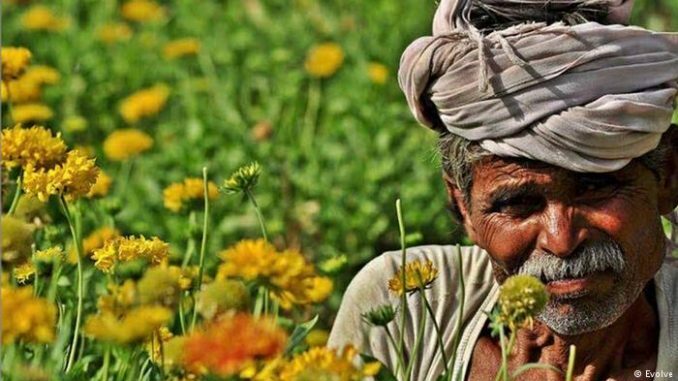 A farming community in the northern Indian hill state of Uttarakhand is getting a boost through a unique initiative that helps farmers interface with the market directly. Jiya Lal of Titarpur village in India’s hill state of Uttarakhand looks content. Over the last four months, the wiry yet determined farmer has managed to secure healthy remuneration for his tomato crop by selling directly to the local Sunday market in the state capital, Dehradun. Like him, Kalyan Singh, another marginal farmer from the neighboring village of Mindal, is ecstatic about the money he has earned from a bumper crop of coriander. “It has taken months — but we have managed to eliminate the middlemen in the supply chain,” Singh says. 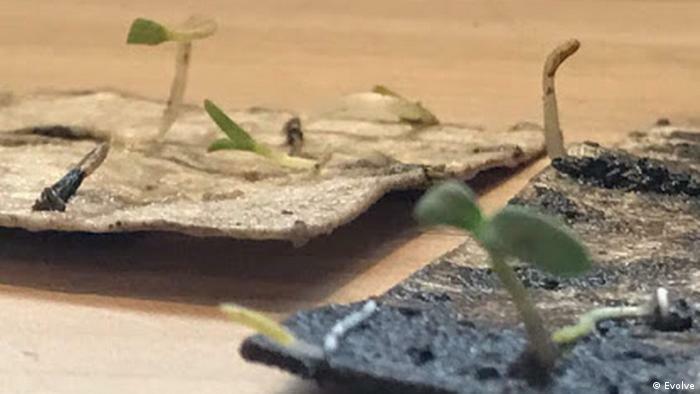 “The consumers deal directly with us, and that’s what we want.” He hopes to grow beans, along with other herbs and spices in the coming months. 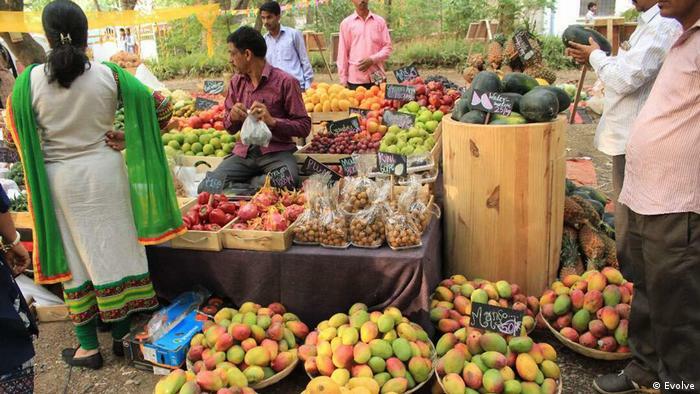 The success and relative prosperity of these small-scale farmers has largely been due to the efforts of Evolve, a nonprofit that has helped create a sustainable ecosystem in the region through the sale of environmentally friendly products and services. Evolve began around a year ago when its twenty-something founders, Nupur Agarwal and Abhinav Ahluwalia, decided to try and do something to stabilize the financial insecurity facing the agricultural community in Pauli Bhud, a village in Dehradun. They started with workshops on how to grow beans and other cash crops. Having learned about plantable pencils and note paper — which, as their names suggest, have seeds embedded in them — and having recognized their potential sales value, they taught locals to make them. “Through Evolve, we are trying to provide socio-economic benefits to people living in rural India, and to spread awareness about the environment and culture among people living in urban India,” Agarwal says. She gave up a lucrative career as the chief operating officer of an indoor gaming center to take this step, and like her co-founder, dug into her savings to make it happen. According to government data, nearly 70 per cent of India’s 90 million agricultural households spend more than they earn each month. This imbalance has seen many take out loans they can’t repay, which in turn has led to extreme suicide rates. It has also driven many out of rural regions, and into cities to take up menial jobs. Ahluwalia predicted how this mass migration would take its toll on India’s food supply and ecosystem. “This got me concerned, and we decided to create a smart sustainable ecosystem for both rural and urban India,” she told DW. Since they launched their venture, she and her co-founder have managed to establish a network of more than 250 farmers in the region who now grow and sell a range of legumes, dry fruits, herbs and flowers – as opposed to their previous crops of rice and wheat. Things have been going so well that the Evolve team has launched another initiative, called Kisan Window or Farmers’ Opportunity. They can now sell those goods at a local farmers’ market, where they have direct contact with consumers and as such, the freedom to ask fair prices for their hard-grown produce. It’s a real departure for Jiya Lal. “The farmers in the country have long suffered because of not getting a fair price for their produce,” he told DW. When it comes to other products, such as the plantable pencils, greeting cards and paper, Evolve makes sure they are sold for what they are worth, with the farmers receiving payment as well as a share of the profit. 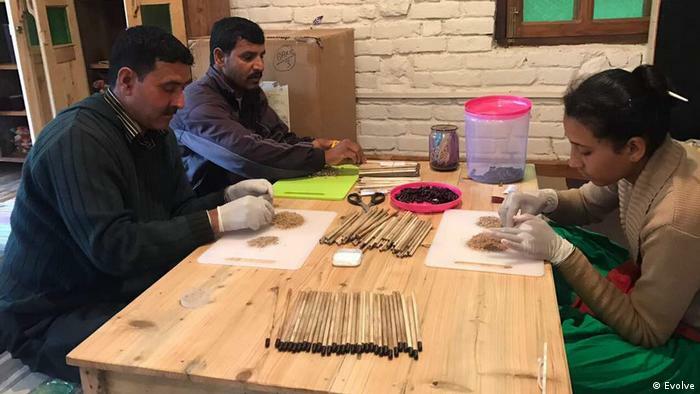 In just more than a year, they have sold 26,000 euros ($31,000) worth of sprouting stationary in India, the United States and Germany. The fact that things are going so well has inspired the social entrepreneurs to scale up their ambitious venture. “Three years down the line, we hope to create 60 sustainable hubs around India, producing more than 60 different organic and sustainable products with 60 rural travel locations and 60 farmers’ markets,” says Agarwal. 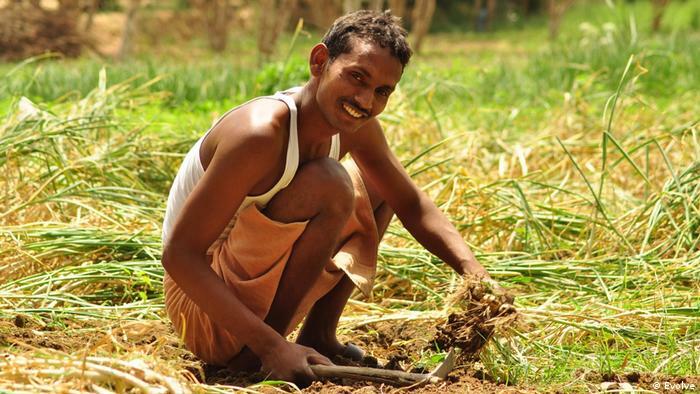 For Jiya Lal, Kalyan Singh and countless others like them, this is not only a chance to make a living — but also an opportunity to grow food with dignity.